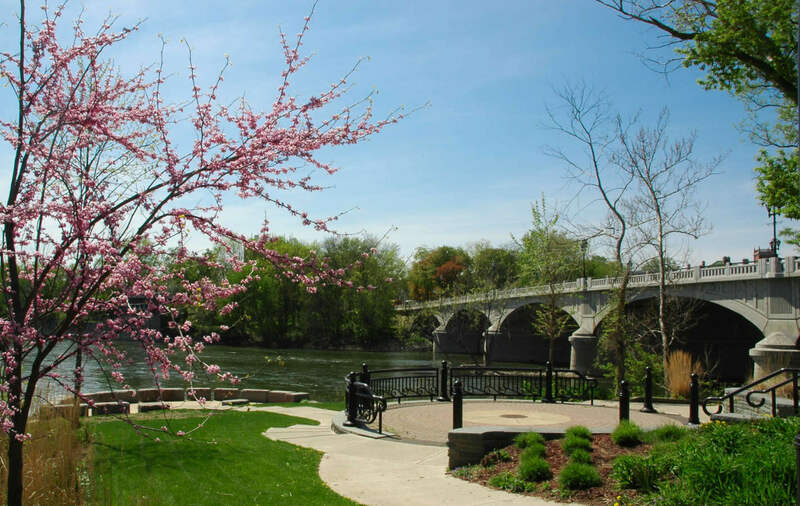 (BINGHAMTON, N.Y.) — The final phase of the City’s comprehensive street tree inventory is underway, advancing the effort to update Binghamton’s Urban Forest Management Plan, Mayor Richard C. David announced Monday. Arborists from Davey Resource Group, of Trumansburg, New York, began the second and final phase of the City’s comprehensive street tree inventory Monday. The arborists expect to collect data on about 11,500 street trees and vacant tree sites — ideal sites for future tree plantings — including tree location, species, size, condition and maintenance needs. The project is being overseen by the City’s Parks and Recreation Department and Department of Planning, Housing, and Community Development. Once the inventory is finished, Davey Resource Group will draft an updated Urban Forest Management Plan to submit to the City. The updated plan will help the Parks and Recreation Department better address current and future planting and maintenance needs to ensure a healthy and resilient urban forest. Davey Resource Group will also hold an educational event once the inventory is complete to provide the public with an overview and analysis of its findings. The project is funded by a $50,000 grant from the New York State Department of Environmental Conservation. In 2014, the City was awarded $25,000 to conduct the first phase of the street tree inventory. Arborists then inventoried 6,266 trees and tree sites throughout the inventory area, which included the North Side, the East Side and parts of the West Side and First Ward. Data collected from the first phase of the inventory is now being used by the Parks and Recreation Department to guide the locations and types of trees selected for the annual street tree planting program. The final phase of the inventory will cover approximately 5.3 square miles, or about half of the City’s land area. The project area includes the South Side, the remainder of the West Side and parts of the First Ward. Data on all trees inventoried during the project will be uploaded to the website TreeKeeper, which is accessible to the public. In 2015, Mayor David announced the City would have a goal to plant 3,000 shade trees by the year 2022.